While the Fiancé is away on the road for the GT vs. Kansas football game, the bride-to-be will play. By play I mean find cool things online and attend a bridal show (tomorrow with the MOB)! Checkout this weekends Etsy find. I love Etsy in general, but today I love these hangers the most. 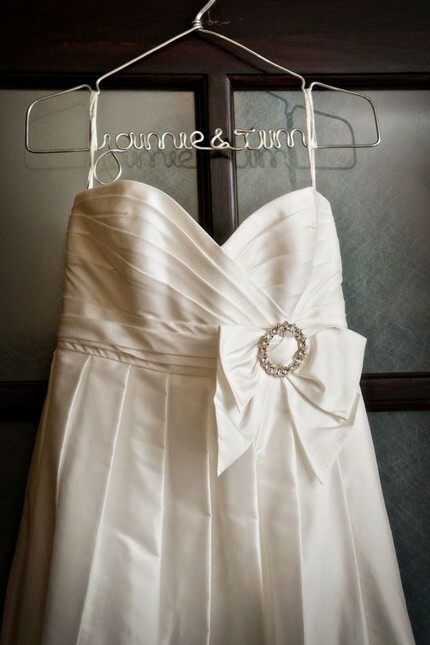 How beautiful would one of these be for hanging your wedding gown or veil on? I love it! This entry was posted in Uncategorized, Wedding and tagged Etsy, football. Bookmark the permalink.